Where can I use a RABScreen? Anywhere that you have air movement. It does not matter what shape or size of opening we can design an air intake screen to suit every application. Dry air coolers, chillers, air handling units, condensers, cooling towers, intake louvres of any make or design. For the latest information contact us here. Unprotected coils drawing in airborne debris – coil clogging reduced labour cost, increased damage to delicate coil fins. Cleaning coils is a time consuming operation with a high labour cost. Using highly skilled refrigeration engineers to clean coils is a waste of resource. Frost coil and filter protection to AHU’s – coil clogging savings (see above) and improved disposable filter life – up to 75%. Lower pressure drop, improved energy performance, reduced labour and disposable filter replacement cost. What is the effect on airflow? 1 inch water column is equal to approximately 249 pascal. 0.02 inch water column is nominally 5 pascals. 0.22 inch water column is nominally 55 pascals. Arrestance is a gravimetric measure of the ability of a tested filter to remove ASHRAE synthetic dust from the test air. The number is also expressed as a percent. Dust holding capacity is determined by the product of the quantity of synthetic test dust fed to the test filter. The tests were completed to ASHRAE Standard 52.1 at the Air Filter Testing Laboratories, Kentucky. Report #10050. What is the difference between BHC (U series) and BHA series? RABScreen BHA – single layer of black, high abrasion polymer coated, polyester mesh. Black Pvc Coated High Abrasion Media is a 9x9 1000 Denier Multi Polymer Coated Polyester Mesh. For a more detailed specification please click here . RABScreen U series (BHC) – single layer black huckaback woven polypropylene. Black Polypropylene HoneyComb Weave is a 3 Dimensional Polypropylene Honey Comb Weave which has a lower air flow resistance whilst the electrostatic charge attracts airborne debris. It can be supplied in multiple layers (U1 and U2) which will increase the arrestance efficiency. For a more detailed specification please click here . The result of this comparison between standard media and a RABScreen enabled the client to ramp down the 5.5kW fans by more than 20% and start saving energy immediately. Average savings when used on an AHU air intake louvre have been proven to be approximately 7% with a 60% increase in disposable filter life. The RABScreen media is an engineered mesh using polyester and PVC or polypropylene. Polyester is negatively charged and PVC/ polypropylene is positively charged which means that any air movement excites the mesh to create an electrostatic charge. This static charge, by definition, does not flow like current, and therefore cannot be discharged into a filter frame or the environment. However, it does attract the debris which is held in place until removed by vacuum, brush or washing. Why would you use BHA or BHC? RABScreen BHA can be used in a single layer. 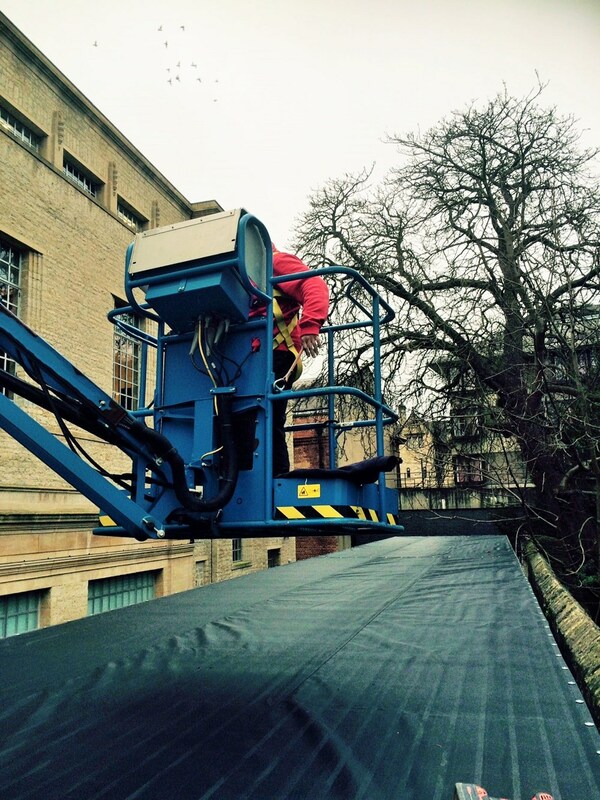 It is a high abrasion screen and is perfect for the majority of applications where seed, pollen, leaves and insects are an issue. RABScreen U series (BHC) is for use where fine particulate is a problem and a multiple layer filtration solution is required. Ideal for fine cement, flour, copier ink and other extra fine particulate. How do you clean BHA or BHC? BHA air intake screen mesh can normally be cleaned without removal by using a hose, vacuum or brush. Rainfall will also wash the debris away from the RABScreen if the unit is not drawing air. For RABScreen recommended cleaning methods click here. U series (BHC) RABScreen will require a little more effort as it is a three dimensional mesh and captures more particulate away from its surface. As such the air intake screen may need removal and pressure washing or blowing from the back. For RABScreen recommended cleaning methods click here. What size RABScreens are available? The media is manufactured in the USA in rolls which are 60” wide andeither 100 or 300 yard rolls (roughly 2m x 100/300m). Any size and shape can be manufactured to suit your opening. We currently manufacture from 300mm square to 300m square. More rigid aluminium or steel profiles are available as well as a variety of fixing types. Would you like to know more? Use our contact form . Do you only do rectangular screens? No. If you can draw it we can make it. So if you have a triangular, circular or any other shape opening we can produce a screen for you. In fact we even do bonnets to protect fans and vents. RABScreens are made to suit your application. Grommet – is a stainless steel or brass two part washer that is press fitted into the vinyl border of the air intake screen to create a suitable location for the nylon fixings or bolts to fit through. It can be used with studs, bolts and self-tappers etc. The most common type of fixing and requires that nylon fittings are secured to the framework at 300mm centres. In a 1.5x1.5 this would require 5 per side, 4 sides = 20, 2 self-tapping screws per fitting = 40 holes to drill. Alternatively the MagnaMount™ can be used for a no tool fixing. Velcro (or hook and loop) is a brilliant fix for where you cannot (or do not want to) use screws etc. Typically the self-adhesive strip will be fixed to the outer steel framework of the plant and then the air intake screen can be easily secured. Ideal for a quick installation without tools. The RABScreen does not need removal for cleaning and so the Velcro style is perfect when you do not want to drill holes. Great for condenser splits, small grilles etc. Magnet – the magnetic strip can be sewn into a vinyl border or riveted to a framework to create an easy to install air intake screen. Used internally up to a maximum size of 0.65m2 They require a steel “key” more than 12mm wide to enable a secure fix. Easy to fit (saving labour) and available with rigid frame in galvanised or stainless steel and aluminium. MagnaMount™ - a unique drop tab fixing with a powerfully strong neodymium “earth” magnet. The new way of fitting an air intake screen. No tools required reducing installation time to minutes. Exclusive to RABScreen. Vinyl with magnet – this creates a relatively flexible magnetic frame and allows the RABScreen to be easily removed. Galvanised or stainless steel frame – can be supplied with (or without) magnet in self-colour or black. Also available in aluminium. Typically used with riveted magnet but can be a framework you slide in and out of a holder. Aluminium filter frame - using Kanya aluminium profile a rigid frame can be easily manufactured. The air intake screen is fitted to the frame. Continuous attachment system - using aluminium profile and a heat welded border with nylon cord. Easy to fit with a unique slide out action for access. Is there a front or back to the air intake screen? No, the RABScreen air intake screen can be mounted in any direction. Framed units with magnetic strips must face the metal surface. "We had to change a combined condensing / free cooling coil because it was so badly damaged from debris and washing. “RAB's Air Intake Screens doing the job. What a little gem these screens are” - Mick Grehan - Emerald Power and Energy.